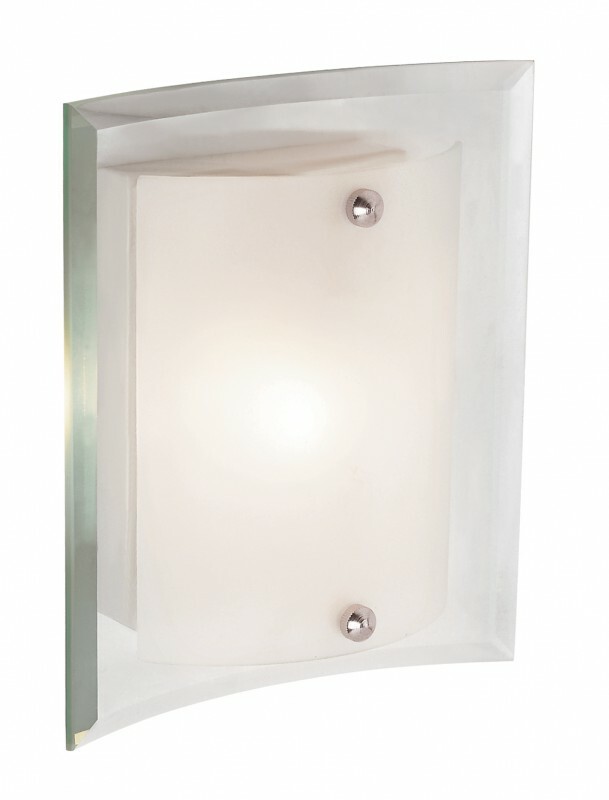 A new age wall sconce in a sleek design. Very trendy. Slim grooved frosted glass on top of nickel wall plate, with polished chrome accents.